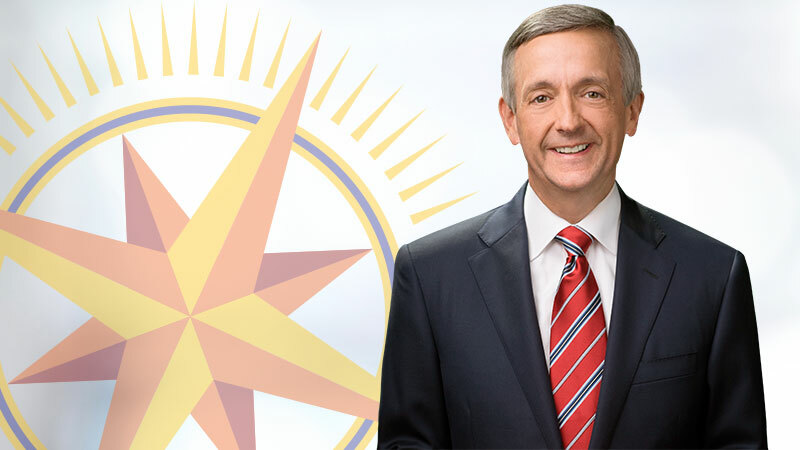 Walk with Dr. Robert Jeffress to key locations and lands that the apostle Paul visited through his missionary travels in this brand-new DVD teaching set, In The Footsteps Of Paul. 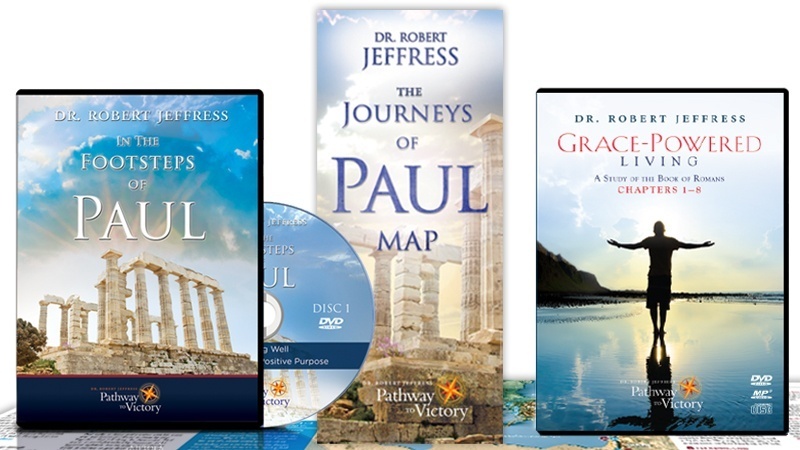 This exciting and informative set — plus The Journeys Of Paul Map — is our gift to you for your generous gift of support. 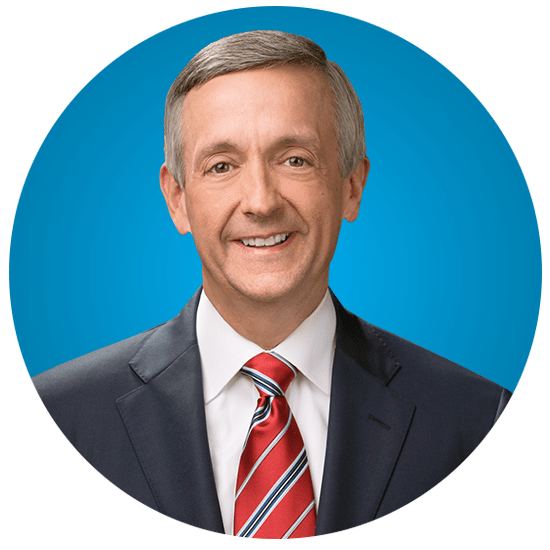 In The Footsteps Of Paul includes seven teaching messages from Dr. Jeffress, a question and answer session, plus a bonus comedy concert and message from Dennis Swanberg. Four messages are filmed on location in Athens, Corinth, St. Paul’s Basilica, and the Mamertine Prison in Rome. And, for your very generous gift of $75 or more, we’ll include the DVD/MP3-format audio CD set, Grace-Powered Living: Chapters 1–8. This 23-message set addresses, What does it really mean to be a Christ-follower? and How did Christianity’s movement begin? and How does that history affect your and my modern-day faith? Discover details you might never have known about your faith and Christian heritage in the eye-opening series, Grace-Powered Living: A Study Of The Book of Romans – Chapter 1-8. First, click an image to select your thank-you gift, then, scroll down to complete your donation. 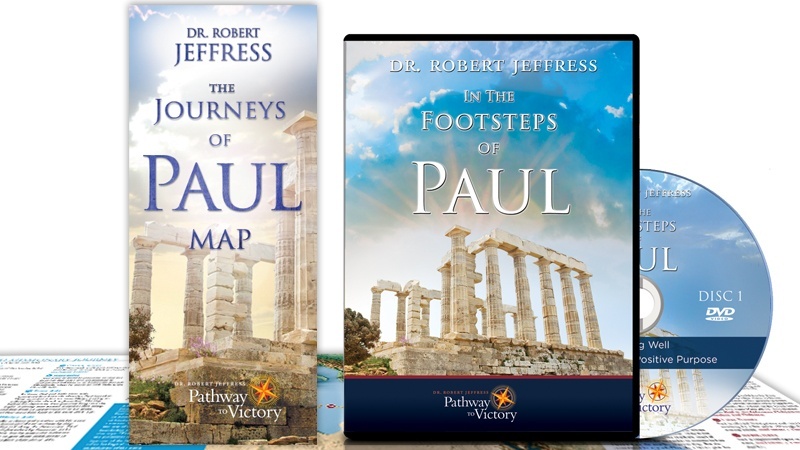 and request the DVD set, In The Footsteps Of Paul, and the “The Journeys Of Paul Map” brochure. and request the DVD set, In The Footsteps Of Paul, “The Journeys Of Paul Map” brochure, the 23-message DVD & MP3-format audio CD set, Grace-Powered Living: Ch. 1-8.
and maximize my donation to PTV. Please do not send any resources.